Overwatch’s anti-toxicity campaign may have been too successful. After a sharp rise in wholesomeness, one fan has taken to remaking heroes as cats. Specifically, Baptiste, who creator dillongoo inventively calls, er… ‘Catiste’. Terrible puns aside, dillongoo is somewhat known in the Overwatch community for his creations, previously animating characters like Meowra, Brikitte, and Bastnyan. It’s part of a larger series called Katsuwatch, which is about what you’d expect. The effort put into the production is admirable. The video features a classic POTG intro, highlight intros, and finishing poses. It even combines in-game audio and other sound effects for a climactic fight between Baptiste and Genji. The fight that inevitably leads to Catiste spawning tuna on top of the ninja while Soldier 76 awkwardly looks on. Knowing someone makes good cash from Overwatch cat videos may do little for your self-esteem, but it’s undeniably cute. At the time of writing, dilongoo’s video (via Dexerto) has racked up over 48,000 views and has been commemorated by a 25% sale on Katsuwatch plushies and a Catiste t-shirt. Clearly, there’s some demand for this weird corner of the internet, and Baptiste is quickly becoming an Overwatch favorite. Since his release earlier in the week, players have praised the diversity and meta changes the Haitian brings. As a new support class, Baptiste can summon an immortality shield, leap over obstacles, and fire three-round healing bursts from his weapon. 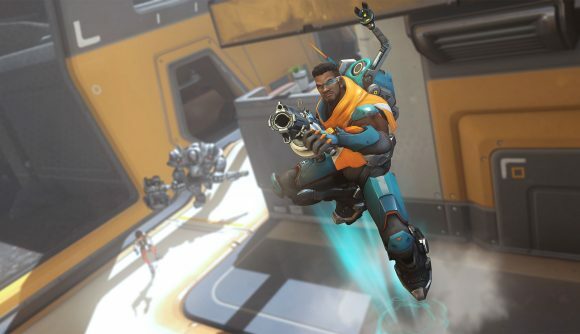 Blizzard has continued to deliver new characters to fans free of charge, with Baptiste previously making his way through public testing to a playable state. The patch also spurred several balance changes, with nerfs and buffs to most of the existing roster. The game is doing remarkably well for its age, and that’s partly thanks to its vibrant community. Who knows, we may even see Catiste make an appearance at the next Overwatch Cosplay Battle.